With Facebook now boasting over 2 billion monthly active users to remain the most-used social media site, it comes as no surprise that it's seen as the perfect go-to platform for marketers and businesses looking to extend their reach. 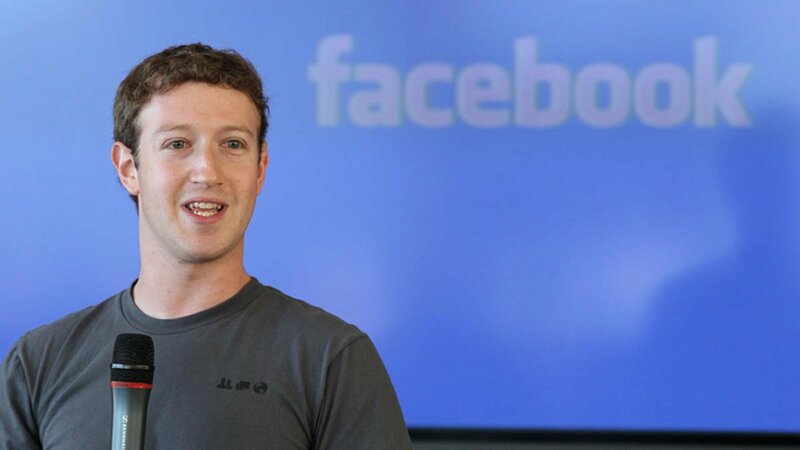 That's until Facebook founder Mark Zuckerberg steps in and throws a spanner in the works by revealing that the Facebook algorithm is changing and naturally, everyone is worried about what this can mean moving forward. So, despite the Facebook algorithm change, here are six ways you can optimise your posts. This is a given, as Facebook Groups is a feature which already operates on the basis of audience engagement. When you take into account that the new Facebook algorithm is all about meaningful interactions, this marketing tactic could be an important one to implement as it encourages more relevant interaction. 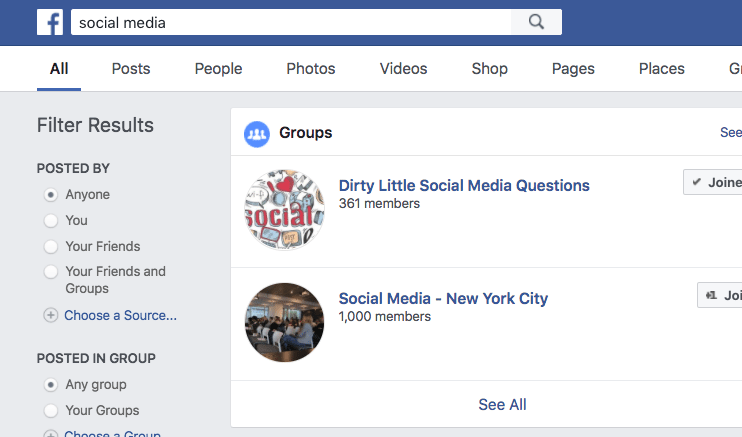 You should be looking into newer ways to engage customers with the Facebook Groups feature, such as consistently engaging with customers, collecting user-generated content and even gaining and learning from customer insights. In 2016, organic reach for Facebook Pages fell a staggering 52% which shows how both algorithms and the content landscape are changing the way people are consuming media. 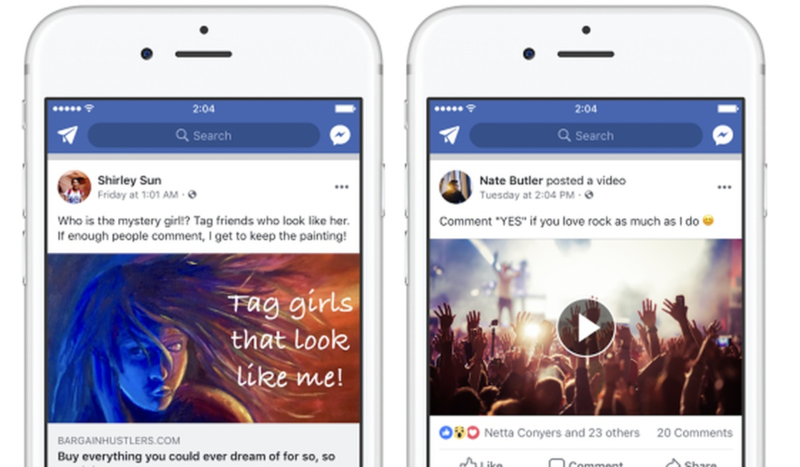 Facebook wants feeds to be populated with highly meaningful and engagable content for the individual, and not just what's popular on Facebook generally. This suggests that being skilled with Facebook Ads is going to be crucial. That doesn't just mean grab every penny of your budget and go all-in on ads, as this tactic won't really achieve anything. Instead, think about increasing your ad budget and spend it in the right areas by knowing how to target your ideal audience so that your ad budget goes further. There's nothing wrong with taking the good old-fashioned route of getting your customers to follow your Facebook page. I'm not talking about the annoying 'follow for follow' Twitter and Instagram tactic you see among students and shady salespeople aiming to increase the followers count either. 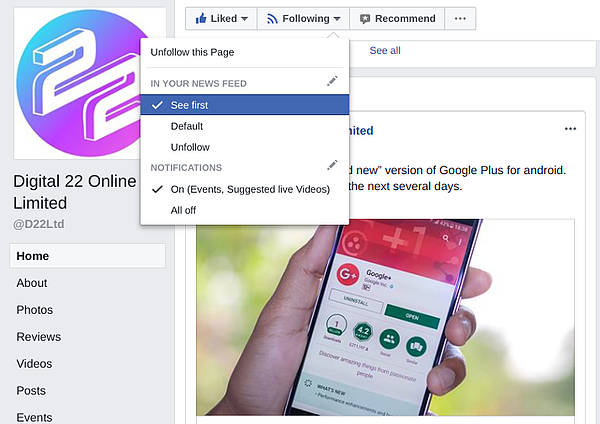 Something the Facebook algorithm won't be altering with the News Feed is the ability for users to make sure they're always seeing posts from their favourite pages by choosing the 'see first' option in the News Feed preferences - as you can see above. So, don't be shy about asking your customers to follow your page on Facebook. In fact, you should also remind your most loyal customers about the 'see first' option in case they don't know about it and always want to engage with your content. One concrete example which is expected to perform really well under Facebook's new algorithm is that video content - especially live videos - is going to perform even better, especially since Zuckerberg himself claimed this in his announcement. He said: "Live videos often lead to discussion among viewers on Facebook - in fact, live videos on average get six times as many interactions as regular videos." This means if video content hasn't been a priority for marketers like yourself, live video content should certainly be a priority now. This distinction is important for companies like yours because Facebook treats live videos and native videos differently, with live videos more likely to appear much higher in the News Feed once they're live. If that doesn't convince you, we started live streaming the #ManchesterHUG in 2018 and got 1,400 views within six hours. That's probably more than all of our video Facebook posts in 2017 combined. Even though Facebook now wants more interactions, please don't make the mistake of trying to find a loophole in the algorithm by asking your audience to comment on things that are unnecessary. I'm sure you've all come across those annoying engagement baiting Facebook posts on your newsfeed with accounts asking you to tag a friend if he looks like the Incredible Hulk/a fed-up looking dog. Facebook has already said that using engagement baiting to goad people into commenting on posts doesn't actually count as a meaningful interaction. It's no use being that sort of brand, as it's spammy and customers won't like it. Plus, it's not even worth trying as Facebook has already said that using engagement baiting to goad people into commenting on posts doesn't actually count as a meaningful interaction. Instead, whenever they come across something like this, they're going to continue demoting the post in News Feeds. Here's the paradox. According to Zuckerberg, meaningful interaction means plenty of genuine comments. That's why you should still continue to post engaging quality content for your customers to get invested in and boost your organic reach. In his announcement, Zuckerberg posted: "Pages making posts that people generally don't react to or comment on could see the biggest decreases in distribution. Pages whose posts prompt conversations between friends will see less of an effect." What this means for you is that you need to continue creating quality content with the aim of creating conversations and debates among your audience. What this means for you is that you need to continue creating quality content with the aim of creating conversations and debates among your audience. To do this, include questions in your posts, make sure you have an opinion on the topic and also make sure you're writing about relevant topics in a timely fashion that people care about. The fact is, the more people commenting on your posts and interacting with each other, the more people are going to see your them.